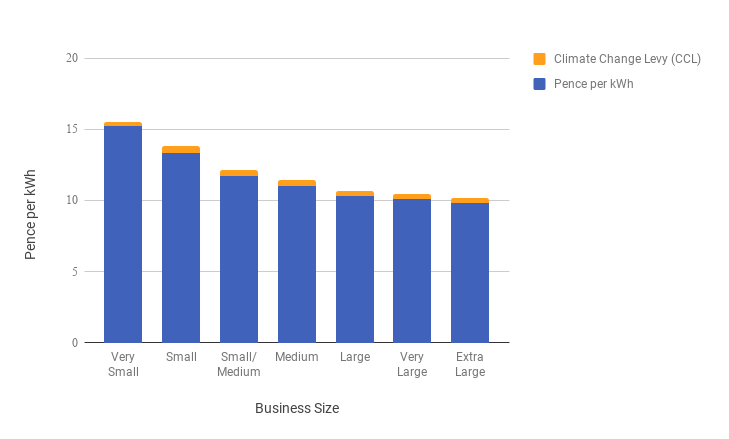 Let’s cut to the chase: if you’re a small business, and you haven’t compared energy quotes in the last 12 months, chances are that you’re paying too much for your energy. But don’t worry, we’ll soon change that! It goes without saying that any business hopes to find the most competitive rate possible for their energy. You want a supplier you can rely on to be consistent, fair and honest. You want to be able to contact them easily if need be, but ultimately you hope everything will run smoothly without your involvement. Small and microbusinesses are forever adapting, and they need a supplier that can adapt with them. For small but established businesses, this might mean a longer contract so they can guarantee they’ll keep their low rate for longer. For a new startup, this might mean a contract-free option so they’re not tied down. We salute small businesses that are keen to make sustainable choices. The energy suppliers you partner with can help with this. So, now you know what you want from your supplier, it’s time to find the one who’s up to the task. But with so many to choose from, where do you begin? We couldn’t possibly not feature Bulb in this list. We were blown away by their customer service, eco-friendliness and – crucially – their low and transparent rates. You know your business will be in safe hands with this London start-up – who better to look after your small business than a fellow small business? The fact that they are the top rated energy provider on Trustpilot really speaks volumes. British Gas are the largest energy provider and supply to over 400,000 UK businesses. This means they have a wealth of experience in dealing with businesses of all sizes. They may not have the best Trustpilot rating, but they offered us the second most competitive rate for our sample London-based small business. They were also the quickest of the Big Six to answer the phone to us. Utility Warehouse definitely deserve a mention for the comprehensive and unique service they offer small businesses. They are the perfect option for those starting a new business, as they can offer mobile, broadband, landline, gas and electricity – all in one bill. If you use them for four or more services, you become a ‘Gold’ member, meaning you get an extra 10% off your energy bill in your first year, and £200 towards any termination fees from previous contracts. More than any other independent energy provider, Opus have really changed the business energy landscape. In 2015, they broke the legacy of the so-called ‘Big Six’, positioning themselves as the sixth largest business energy provider. They have scooped up numerous awards, as well as several mentions on The Sunday Times Grant Thornton Top Track 250 league. They recognise that energy rates for small businesses leave a lot to be desired, so have developed a concept called ‘Business Clusters’, where small businesses can club together to get cheaper rates. Yü were one of the best rated suppliers we found, with a Trustpilot score of 8.8/10. They offer gas and electricity for businesses, and will soon branch out into water. This will give businesses the unique opportunity to have all their utilities together. They are also one of the greenest suppliers around – in fact, over 99.95% of the electricity they supply is generated renewably. While some of this is down to cost differences, a huge part of this problem is that small businesses tend to switch less frequently and are generally just less engaged with the market. It makes sense, when you think about it. A very large business may have an employee dedicated to monitoring energy usage and negotiating bills. Plus, they have more bargaining power – their business is worth a lot more, after all. For smaller businesses, there is rarely a person dedicated to sorting out the utility bills. People tend to accept them for what they are, and give them little thought. This is, of course, a generalisation – but the imbalance that exists is certainly no coincidence. So, just how much is this imbalance costing small businesses? Around £180 million a year in the UK alone, according to the CMA. They cite a lack of price transparency and high exit fees as the main culprits. So how can your small business break this cycle, and get the best possible energy rate? Spoiler: it’s easier than you think. So easy, in fact, that we’ve got it down to three words: compare, negotiate, switch. Or CNS, if you like your acronyms. Keep track of when your contract is coming to a close, and when your notice period is (it’s typically a 30 day period, and a few months before the contract end date). Suppliers should write to small businesses to inform them, but it’s still worth keeping note. Chances are you’ve arrived at this page because you’re currently in this stage – you’ve come to the right place! It’s time to compare providers – that’s what we do best. Never underestimate how important your business is to suppliers. Picture it from their point of view: they’re operating in a saturated market, selling a fairly undifferentiated product. Basic economics means they are keen, if not desperate, to get new business by any means possible – even if this means cutting their profit margin to the bare minimum. Take your best quote to the second best supplier, and see if they can beat it.. Then go back to the first again, and so on. Very few minutes spent on the phone doing some old-fashioned haggling can be incredibly valuable. Sometimes your current supplier will still end up offering you the best deal. That’s great, but be sure to make a new contract to this effect, rather than just automatically rolling over. Once you have your next supplier lined up, it’s time to give notice to your current provider. Be sure to do this within the allocated notice period, or risk being automatically rolled over to an expensive new contract. Arranging the switch itself should be no more complicated than switching domestic suppliers, and there shouldn’t be any disruption to your supply. Just remember to take a final meter reading on the handover day. Alternatively, you can use an energy broker such as Power Solutions – they’ll compare providers and get you the best possible rate. And the best part? Using a broker is completely free – the suppliers themselves pay their fee. We can put you in touch with trusted energy brokers, too. There’s a lot of confusion over exactly what a microbusiness is. For many, the term conjures up an image of a two-man startup run out of someone’s spare bedroom. 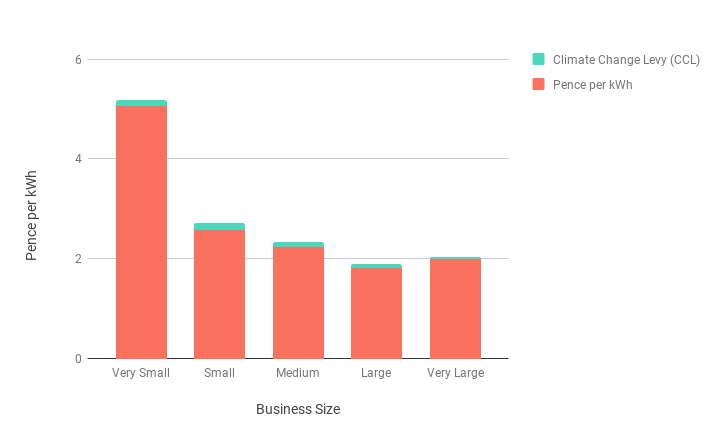 But, in the energy sense at least, microbusinesses aren’t quite so… well, micro. Are there different rules for microbusiness energy? Ofgem has taken steps to level the energy playing field for microbusinesses. For starters, microbusinesses can give notice at any point during their contract. If they’re on a fixed tariff, the supplier also has to put their contract end date on every bill. Few things in this world are more certain than this: comparing energy providers will get you a better deal for your gas and electricity, no matter the size of your business. It needn’t be the painstaking process it once was – just fill in the quick form at the top of this page to get started. And remember – there is no ‘one best supplier’ for everyone! Factors like location and usage have a big influence on which supplier will be able to offer you the best deal. That’s why it’s crucial to get quotes tailored to your business.